India's Manipal Hospital and private equity firm TPG Capital Management on Monday sweetened their bid to buy Fortis Healthcare Ltd, just days after the Fortis board said it favoured a rival offer to the dismay of many shareholders. 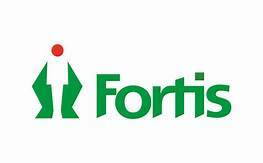 Fortis shares rose as much as 4.2 percent to 155 rupees on Tuesday, marking their biggest intraday percentage gain in nearly two weeks. The decision drew investors' ire and sent shares in the cash-strapped hospital operator down almost 5 percent. It is uncertain if shareholders would give their nod to the offer from Hero Enterprise Investment Office and Burman Family Office, said an analyst, who requested anonymity. "Given (Manipal) already runs a large hospital chain they are probably in the best position to ring out synergies," said the investor, adding Fortis had not yet entered into a binding bid and could change its recommendation to shareholders.